BEPC believes in helping our clients stay safe with current technologies for emergency and safety management. We educate our clients in the pros and cons of a variety of safety management systems, ensuring that you understand what safety system you have chosen for your workplace or public entity. Taking care of employees and visitors is a top priority to businesses all over the country. Find out how BEPC, LLC can help install high-quality safety systems to keep buildings and visitors safe. Different Organizations have different safety needs based on their environment and employee base. 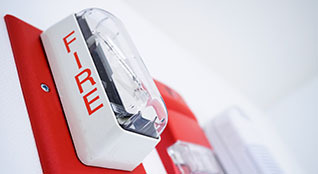 But no matter the type of work your company does, BEPC can provide customized solutions to help buildings and venues harness top of the line safety solutions such as fire alarms and security systems. Other safety solutions can be created and specialized for your organization. Our safety consultants and contractors can give insight into what your existing structure or new building may require to meet safety standards in your area. BEPC works with you to be sure that you have made the best decision for safety equipment for your company. We are knowledgeable about the newest technologies and safety services available and can be sure you receive a quality solution. Reach out to BEPC through our online contact form or more detailed information about what your company may need. Learn about three simple steps to keep your staff safer while in the workplace.